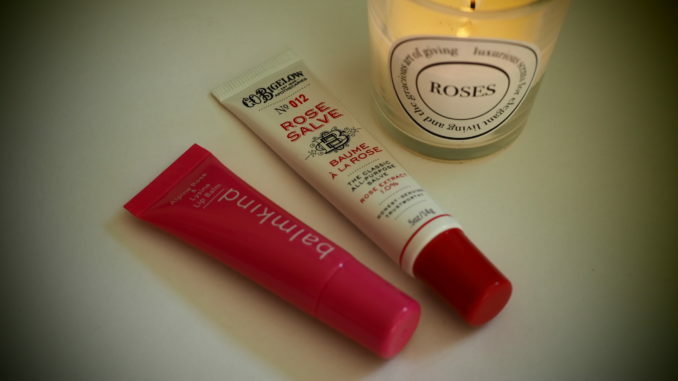 Is rose scented lip balm becoming a thing? I’ve got all of two in my stash at the moment, so either it’s a very small trend or the start of something lovely. At any rate you read it here first. 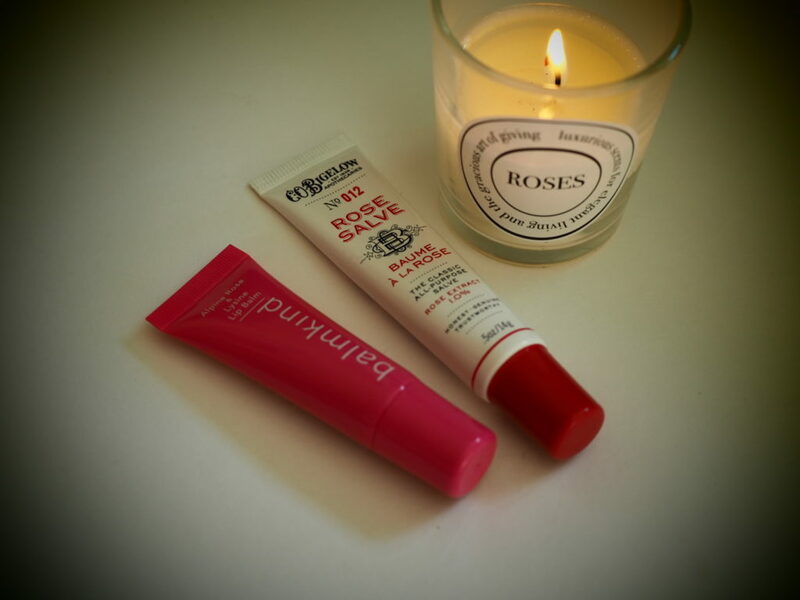 Best out of the two in my opinion is the multi award winning Alpine Rose & Lysine Lip Balm by Balmkind. I was one of the testers for the Beauty Bible Awards this year (not for this product) and I can tell you that we do take the job very seriously, and these awards are hard to come by. This is a smooth and nourishing lip balm that works well as an overnight treatment if you want to wake up smelling of roses. C.O. Bigelow Rose Salve is more of a multi-tasking product, in that it can be used for dry cuticles and skin, as well as lips. It’s an elegant, traditional brand dating back to 1838 and said to be America’s oldest apothecary. I love the retro branding. It’s the sort of thing you want to keep in your handbag when you’re knee deep in library books or cleaning out the owl hatchery. (I don’t actually have an owl hatchery but maybe in another lifetime). However, it loses points for containing petrolatum. This is the moisturising ingredient found in many lip balms which can actually result in lips feeling drier. You know how with some lip balms, the more you use, the more you need? Blame petrolatum for that. 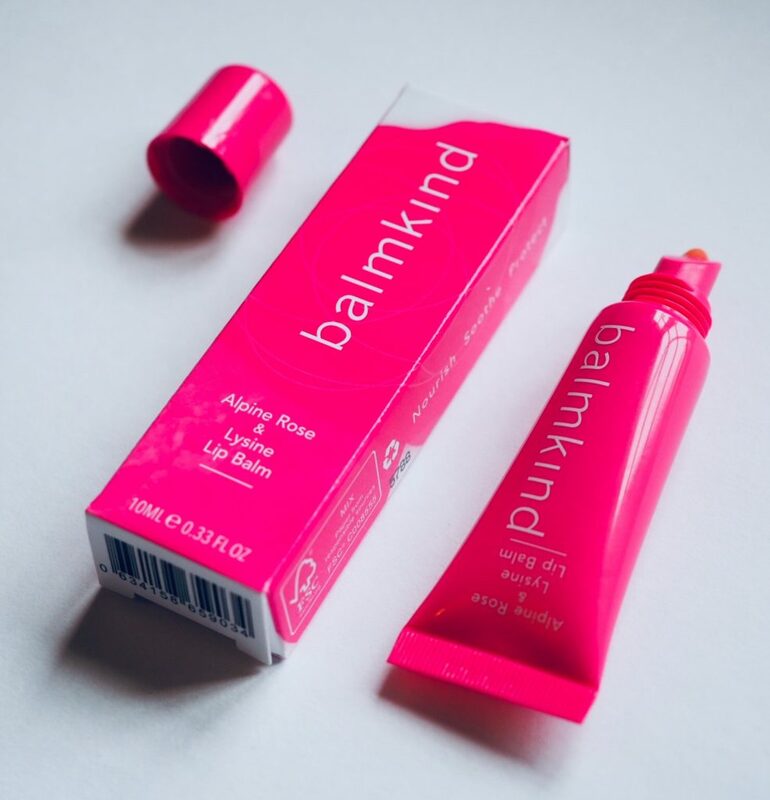 The Balmkind rose scented lip balm, on the other hand, doesn’t contain petrolatum, and this is where it scores as a better hydrator. Instead, it contains UVA and UVB filters to protect your lips from the sun and amino acid to support collagen production. Other key ingredients include Vitamin E, soothing Licorice root and oat lipids with skin active ceramides. Not to mention a lovely, naturally derived rose scent. I would recommend the C.O. Bigelow if you want a traditional, moisturising lip balm – it’s kind of like Vaseline with better branding. Balmkind has much more to offer in the ingredients department, but in a plainer package. Which rose will you pick? Balmkind Alpine Rose & Lysine Lip Balm (10ml, RRP £13) is available from the Balmkind website and Amazon. It’s cruelty free and suitable for vegetarians. C.O. Bigelow Rose Salve (14g, RRP £8.50) is available in the UK at Liberty, which is where I bought it. Not tested on animals. PS If rose is your scent, check out this rose scented hair serum. I’m still using it, it’s totally lovely. I can also offer rose scented skincare by Baie Botanique and Rose Quartz moisturiser by SkinChemists.